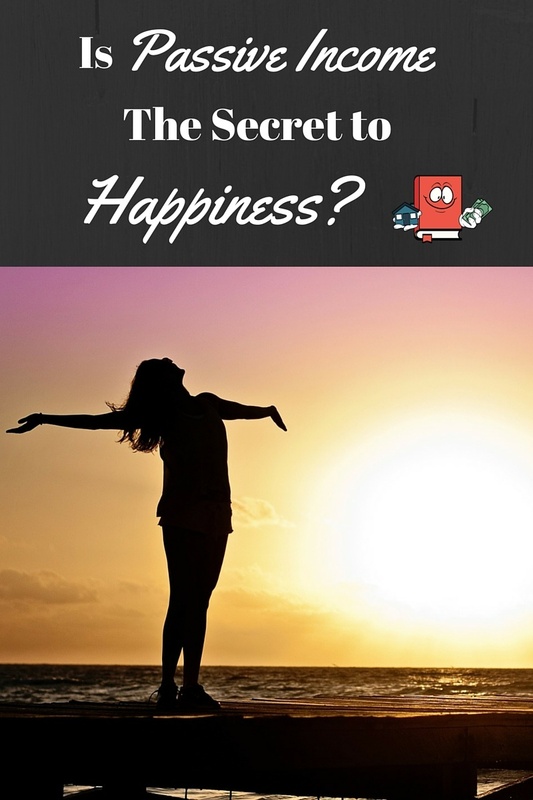 Is The Secret To Happiness Passive Income? A quick search online or even a brief survey from your family and friends will show you that the things people want more in life have little or nothing to do with money. The choices and activities we make in life seem to cause a greater sense of happiness. Ultimately, we have the power to make our own decisions and choose how we want to live life. These decisions can and will make you happy if you just do what it is that you want most in life. Whether its to start a family or spend more time with loved ones, family is a top choice for people being happy. I know that when I have kids, I would want nothing more than to be able to have the luxury of spending all the time I can with them. Taking them to events, doing fun things outdoors, extracurricular activities, anything! Being there for them is what matters and what they will remember forever. Having friends and people to talk to, be silly with and experience life pleasures with is a big one. I mean we all love having friends and it’s always awesome to enjoy things with others. Sharing experiences and making memories with good friends will surely make you a happy person. The idea of helping others really makes you feel good inside. There is not much out there in the world that can make you feel good about yourself like it does when you have the satisfaction of helping someone or something in need. Whether it’s through volunteering or giving charitable contributions, this can really make you happy in life. Taking care of your body is a great way to increase happiness. It feels good after working out and it feels even better knowing you are healthy and have the means of living a nice long life. A lot of people feel happy with knowledge. The more your brain can soak in the better. Learning new things can only make life better and keeps you sharp. So where does passive income come to play here? None of those traits are material objects that can be purchased. My logic here is that passive income can give you the time to enjoy all these wonderful pleasures in life. Imagine not having to spend 10 hours of your day working or at a job trying to produce income to keep you afloat. That would really free up your time and allow you to be happy by doing and partaking in all these great traits that make people happy. If you are receiving enough passive income per month to allow you to not have to work anymore, you could spend more time with your family, kids, grandchildren and even friends. Not having to work so hard in life for money gives you much more energy and time to work out and get healthy. All this extra time passive income can give you also frees up time to get more educated. Imagine if your daily routine was workout, volunteer, learn and spend time with family and friends? Every single day folks! That to me sounds like a weekend to me. I would love a lifetime weekend. That is what passive income can do for you and that is why I think passive income is the key to happiness. In the sense that earning passive income will let you enjoy all the actual traits and items that really do make you happy. This is why I working so hard right now and am very passionate about building my passive income streams. The time is now to setup and generate your cash flow. 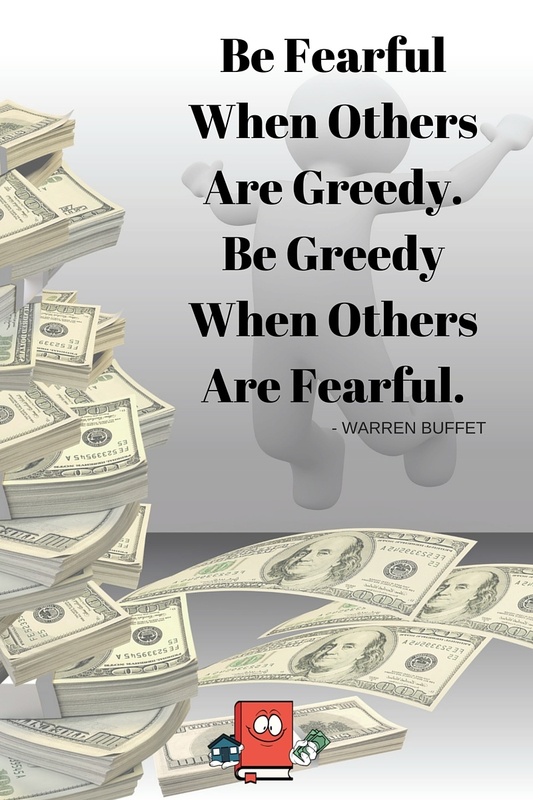 Be greedy, not fearful about making this happen. Do what you have to do to set this up!! I know that in the future, it will free up so much of our time and truly allow us to do all the finer things in life. Things we want to do but can’t right now because there just is not enough time and there are just too many work obligations hindering us from doing a lot of this stuff. I mean don’t get me wrong here, I am happy now with my life and love every second of it. I just have dreams and aspirations to do more of what I enjoy the most and my passive income streams will one day allow me the opportunity to do whatever I want, whenever I want. That right there is all the motivation I need to keep on my journey to financial freedom. I realize we are all unique people and what makes some people happy will not be the same for others. What makes you happy or what would make you happier? 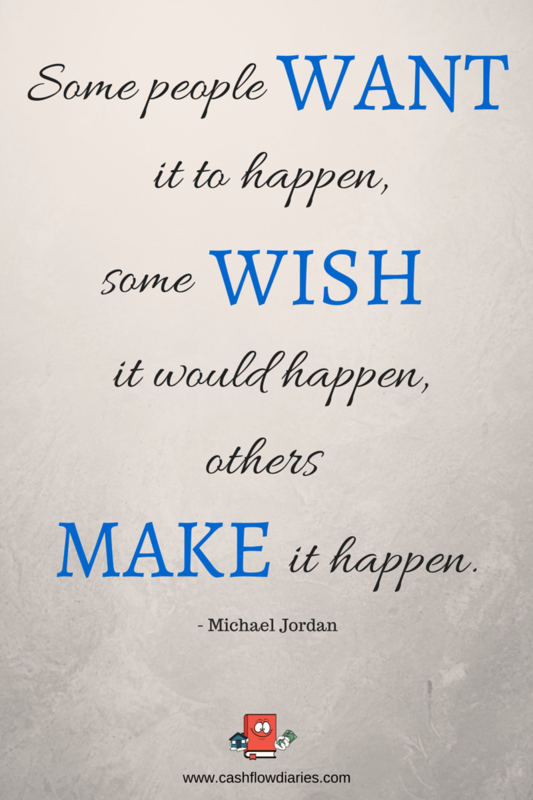 But more importantly, what are you going to do to MAKE IT HAPPEN? One of my favorite quotes of all time is from Michael Jordan and it goes “Some people want it to happen, some wish it would happen, others make it happen.” Which one are you? I would love to generate some more passive income. That is my goal in 2016. My goals is definitely to increase my passive income in 2016 as well. 🙂 Thanks for stopping by Robin. Yes, passive income does improve quality of life. You really do have to be strategic. Like you said in your post, passive income gives one freedom to live life how they want to. Even if one enjoys or likes their job, there is a different element to it if you need a job for grocery money (which most people do). Plus, traditional jobs just take up too much time. Happiness I think is a moving target and we are all trying to get there. One way I look at it (setting happiness aside for a moment) is I don’t want to be unhappy. Working for someone else made me unhappy. Now that I am financially independent, I can’t say that I am always happy. But I am not unhappy because I now have the set of circumstances that I need to continually search for ultimate happiness. Well put ML! I think many people like myself don’t even like the idea of having a job. Albeit I do have a day job now and its not bad, its actually pretty good but I don’t feel fully satisfied or happy having this daily responsibility. I didnt realize you reached FI already. Congrats! Thanks. I fortunately was able to reach FI at the end of 2013. I am relatively new to your site but like it a lot so far. 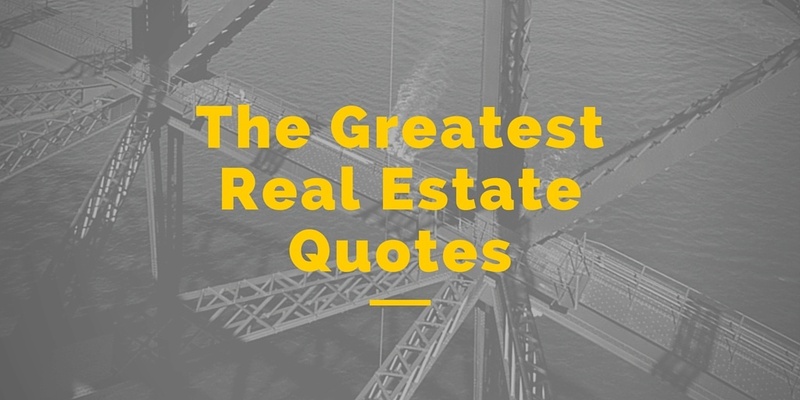 We definitely have common interests with real estate investing. You are doing well for yourself and making nice progress. For those looking at early FI, real estate is the way to go IMO. I would be still working for the man if I was just saving money via 401K investing, etc. All about finding that work/life balance. Building enough wealth or passive income streams to free yourself of the 9 to 5 would allow many of us to persue passion projects. I’d love to help more people with their finances. This whole 9 to 5 thing really bugs me. Who came up with that anyways?! I agree with having multiple sources of passive income. Right now all of mine is coming from rental properties but I would love to bring some in via other methods. 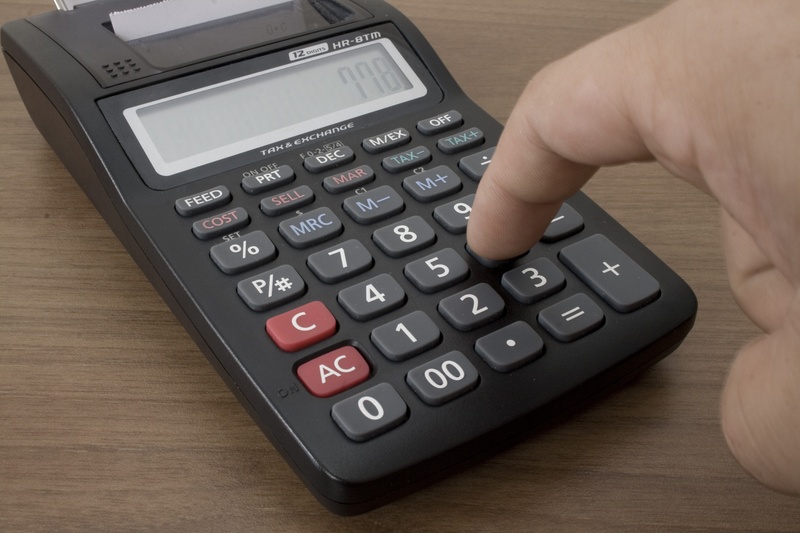 I hope youre able to generate some passive income in 2016. Good luck! I definitely see passive income as valuable. My question, however, is what really counts as passive income? Sure, stocks are passive, but is real estate or running a blog? I feel like both of these take a substantial amount of time. I’ve heard a lot about passive income, and I’m just not sure how realistic finding truly passive income streams is. Do you have insights on this? Rental properties definitely pass this criteria. I mean after the acquisition there is very little involvement especially if you have a property manager. 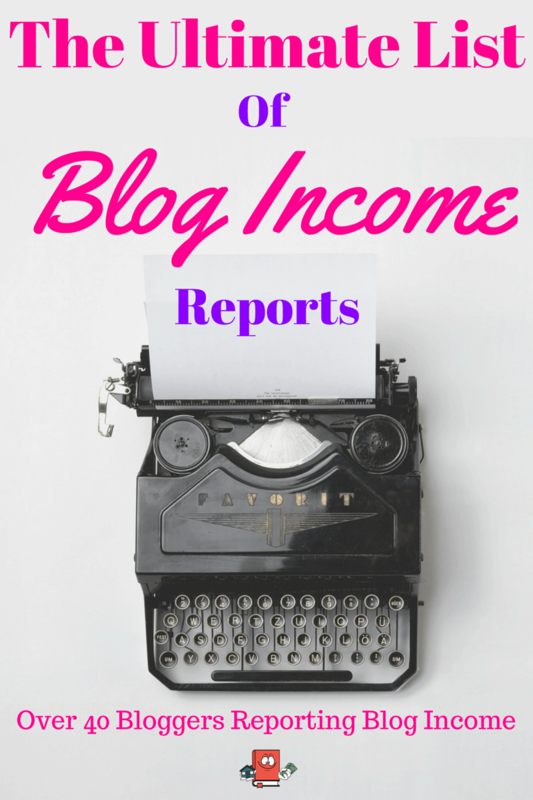 I personally dont count my blog income as passive income because I agree with you on that one, there is a lot of time spent on the blog. Maybe someday in the future, if I can find ways to automate or even hire people to handle the blog then it would count as passive income. Yep, I definitely get your point here. It sure helps to have a stable and passive income so we can spend time on the things we love. That is definitely something I’m hoping to get to at some point. I want to live a lot more of life than I am. Ahh the dream life! Ill be pulling for you. Realistically speaking, i think in 10 years I will have this freedom. As long as my growth remains the same as 2015. It’s true that money won’t make you happy (happier), but if you don’t have your basic needs met, it’s hard to be happy. And I absolutely agree that passive income would help make me happy… it is on my goal for 2016 to make more passive income! Awesome! I hope youre able to make more!! I think I can add an additional 1k in passive income in 2016. We’ll see! Great read and you hit the nail on the head, TIME! That is the top reason I am trying so hard to build my passive income, I would rather spend my time on things that matter to me or with the people I love. At the same time building the passive income is quite fun for me! Thanks CF Addict! Ha i really like the name of your blog. Im an addict for sure! I really am enjoying my growth mode right now as well and love building passive income. Im sure once im done with what I actually need, I still will be buying. We’ll see. Thanks for the comment! I’m not sure if it’s the secret to happiness, but it will definitely give you freedom if you make enough. Personally, I don’t think I will stop a full time job with great people to sit at home. Yeah i think sitting at home would definitely make you miss the social aspect of working with people but just because you are financially free, does not mean you are going to sit at home. It means you can do whatever you want and that is what I love about it. Thanks for your input Pav! Generating some more passive income is my goal in 2016. Great post!! It may not be the primary source … but adequate passive income certainly reduces stress and makes life easier. Only if it were the primary source!! That is what im shooting for. To me Family comes first & surely I love spending so much time with my loved ones. And I always love helping others as it gives a great feeling that you are gifted to give back something to someone in need. And passive income is something that you can make out if you set a proper goal anytime. Hi Lisa! Family is definitely and should always be first. Thanks for the comment. Thanks for visiting my blog and expressing interest in my Pinterest method. Not many of my readers seem interested in Pinterest, so it was a pleasure chatting about Pinterest with you. Youre welcome. Thanks for visiting my blog too. 🙂 I have read so many posts about other bloggers making an absolute killing with pinterest so I decided its time for me to join in on the fun. Hopefully it works out for me! Key to happiness? no…does it help? Yes! I don’t think it can buy happiness, but it can buy freedom and like you said give you your time back. Having to spend time to make money takes away from time to pursue happiness. So, I’m looking to purchase my freedom. Yes, it is! Imagine yourself enjoying holidays and special occasions with your family and yet, you’re still earning! No need to file a leave of absence just to be with your love ones. You have the freedom to choose the time you need to work to earn that passive income! That would be amazing! Would love to be able to do that and hopefully I can someday. I hope so! My definition of financial independence is having enough passive income to expenses. I can’t see how this wouldn’t make me happier than I already am? Good post – thanks for writing it! Thanks Ty!! To me it would make me happier because not only would all expenses be paid for but I would have more time to enjoy the things I love. Right now the majority of my day is used up working a day job. Im not necessarily not happy but would definitely be happier if I could use that time to do other stuff that I love to do.